The theme of the weekend is based on a verse in the book of Micah. 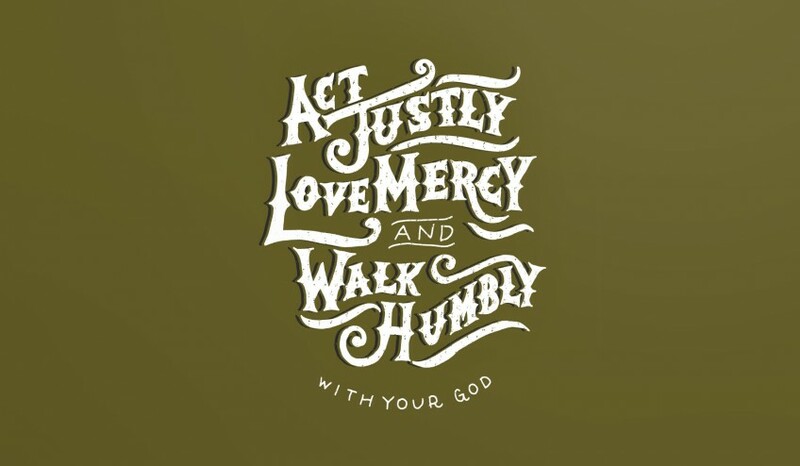 We’ll be exploring what it means for us to walk humbly with God, to love mercy and to act justly. We have two great speakers with us over the weekend. Paul is married to Caroline and father to Anya, Ronan and Sian. He serves as pastor in Limerick Baptist Church. Paul spoke at the Young Adults Retreat in 2014, Paul is great communicator with a real desire to share Gods word with people. Paul will be with us for the sessions on the Saturday exploring what it means for us to walk humbly with God on the Saturday morning and what it means for us to love mercy on the Saturday evening. Phil is married to Cheryl and they have two children. He is Strategy Coordinator and New Initiatives Partner with GEM Europe. He is also a lecturer in the Irish Bible Institute – lecturing in Mission in Contemporary Ireland. He is a great thinker and catalyst. Phil will be sharing with us on the Sunday morning about what it means for us to act justly, what mission looks like in Ireland today, with stories and some practical help. On the Friday we will have time to settle in, hear Michael conclude the end of our series on Acts and time to hang out together. On Saturday we will start the day with a short thought before breakfast. Paul will then speak to us on the topic ‘What if we walk humbly with God?’ knowing Gods will and his presence with us. There will be some singing too. There will be a childrens programme during the day time sessions too. After the Saturday morning session there will be some workshops looking at different types of prayer – more info to come on that. After lunch there will be an optional seminar as Paul explores mental health and depression. In the afternoon there is free time for you to bounce on a bouncy castle, do a treasure hunt, go to a coffee shop with a friend, play a board game or play volleyball or just lie down! We’ll have a BBQ for dinner after which we will have our evening session where Paul will look at the topic of ‘What if we loved mercy?’ What would life look like if we really loved mercy, forgave people and loved each other. The day would not be complete until Russell and various members of his family have wowed us with some extravagant and exciting entertainment! There will be another short thought in the morning before breakfast followed by Phil who will talk to us about mission and looking at the question ‘What if we acted justly?’ This will be followed by lunch and free time together. The weekend as always promises to be full of God at work in us, fun and laughter, singing and prayer, interesting workshops and challenging talks. So please do join us as we understand more of who God is and His call to walk with Him.